Both fourth and fifth graders completed their winter landscapes right before break started the fifth graders looked at color value and used ink with a straw to make these frozen winter trees. 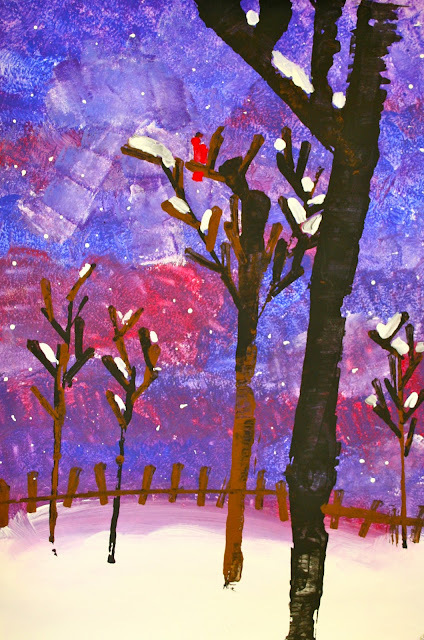 Snow and shadows along with some small details were added with tempera paint. 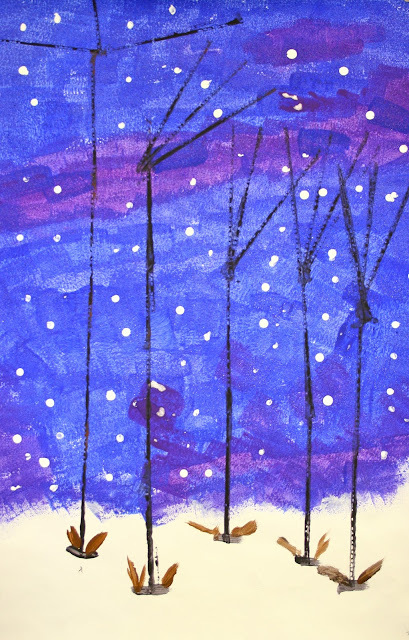 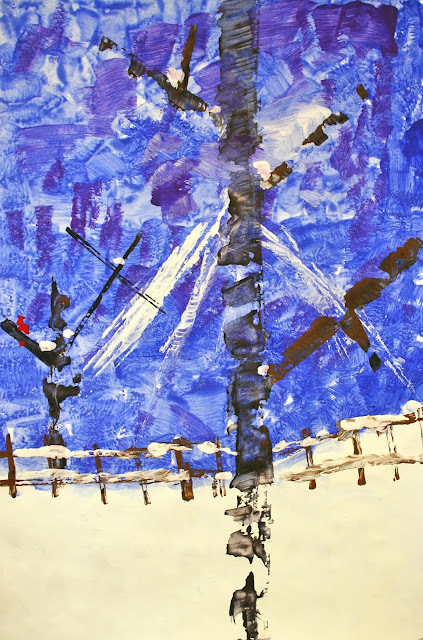 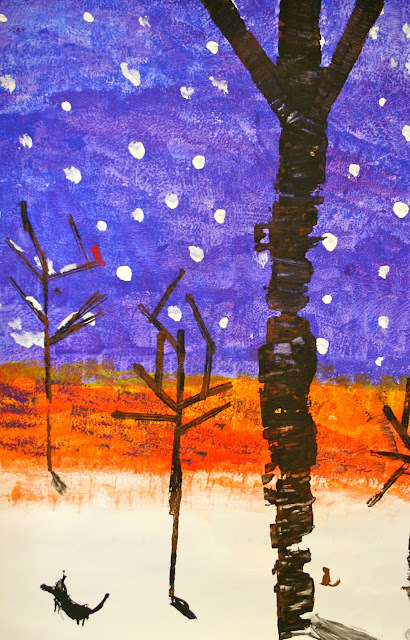 The fourth grade landscapes were made by sponge painting the background and using cardboard to print winter trees with brown and black tempera. 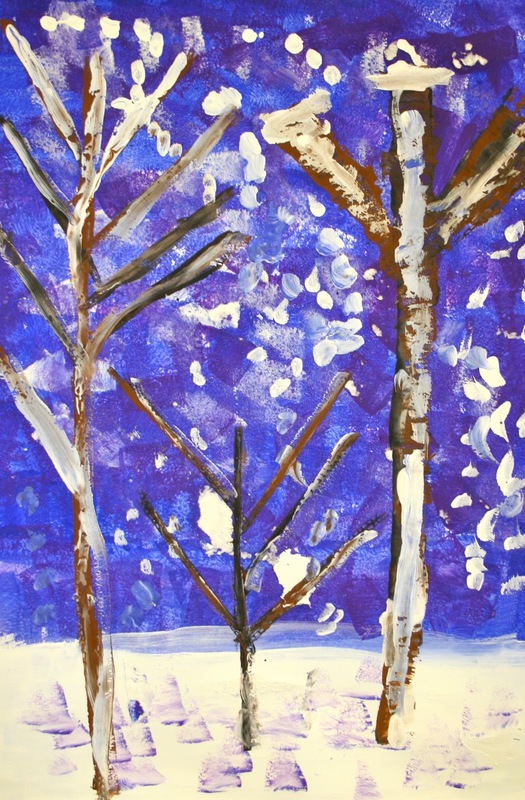 These are on display in the hallway at school and have received many compliments. I love the fifth grade landscapes...so simple, yet effective. Wonderful!